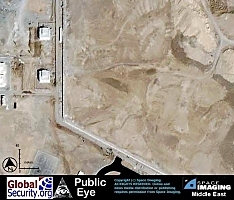 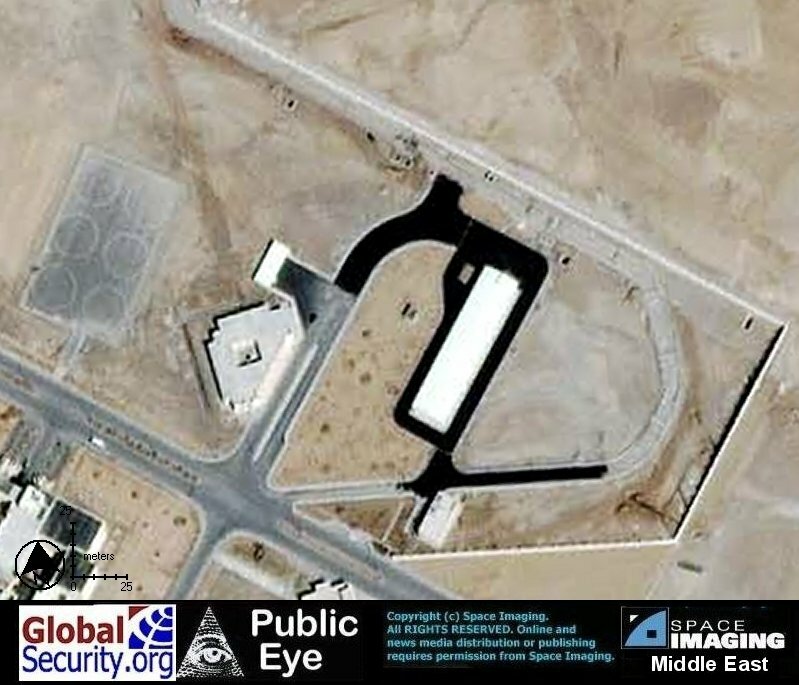 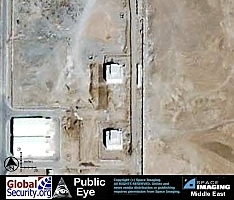 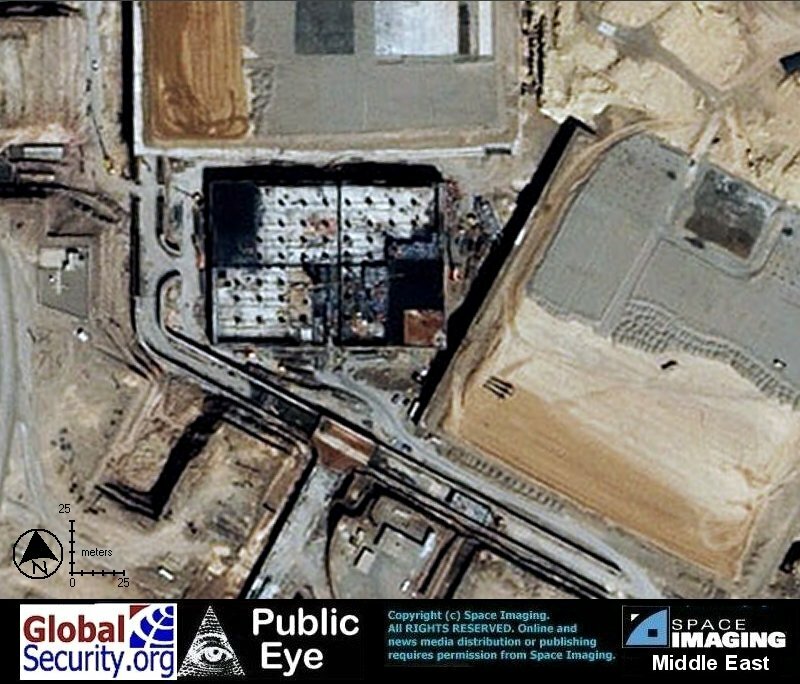 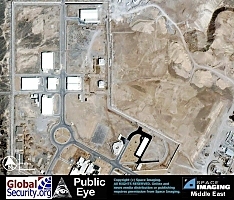 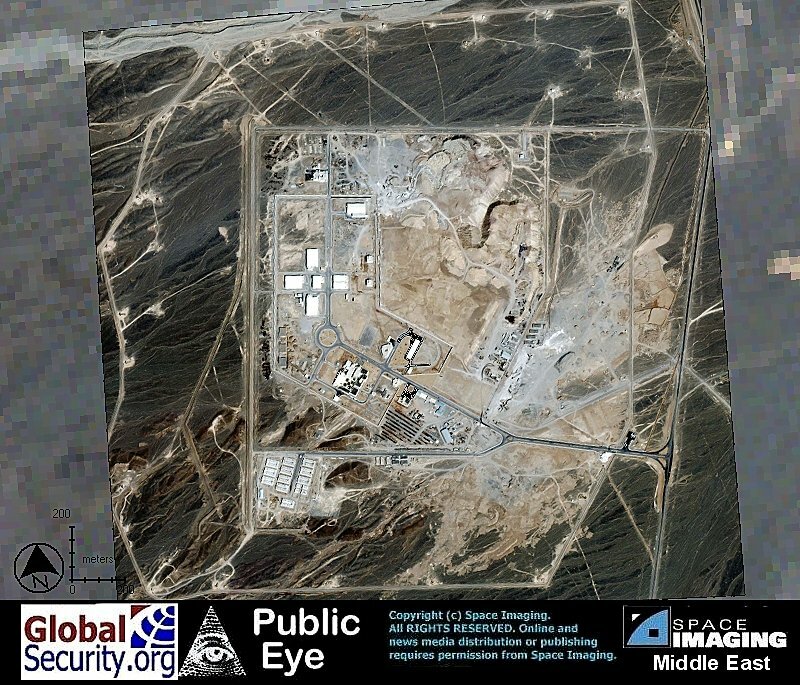 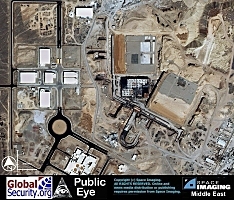 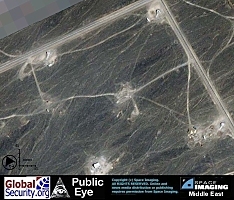 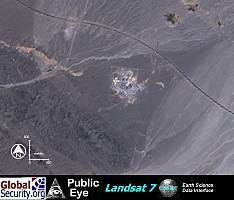 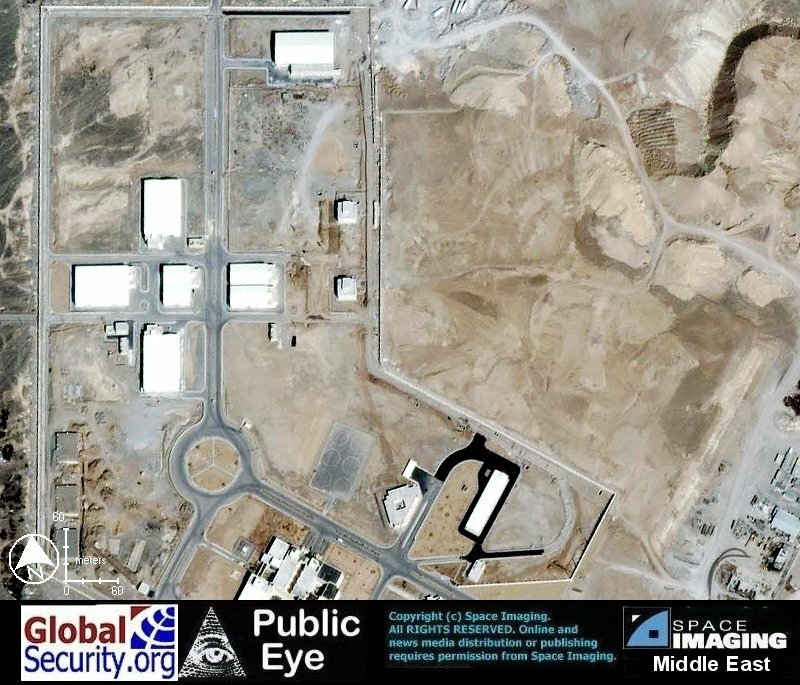 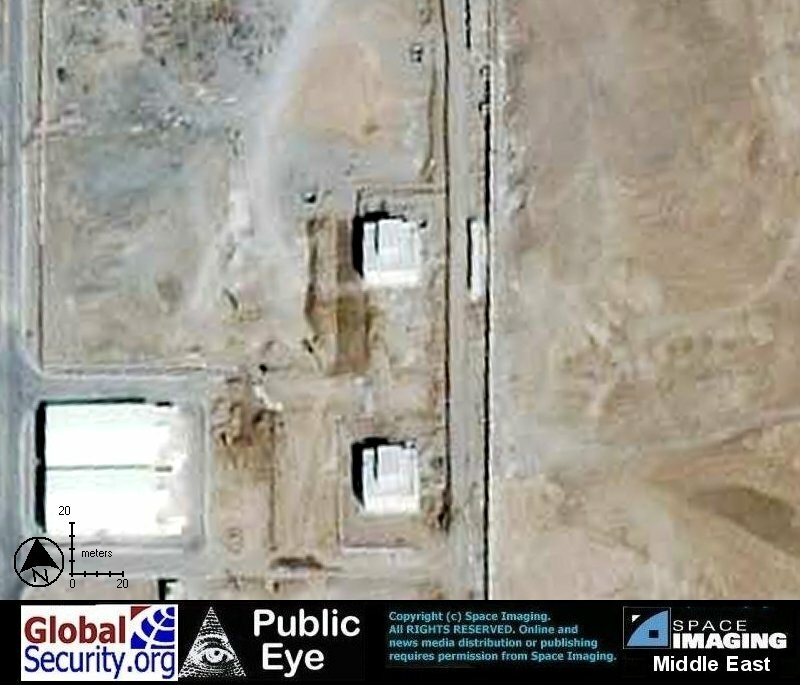 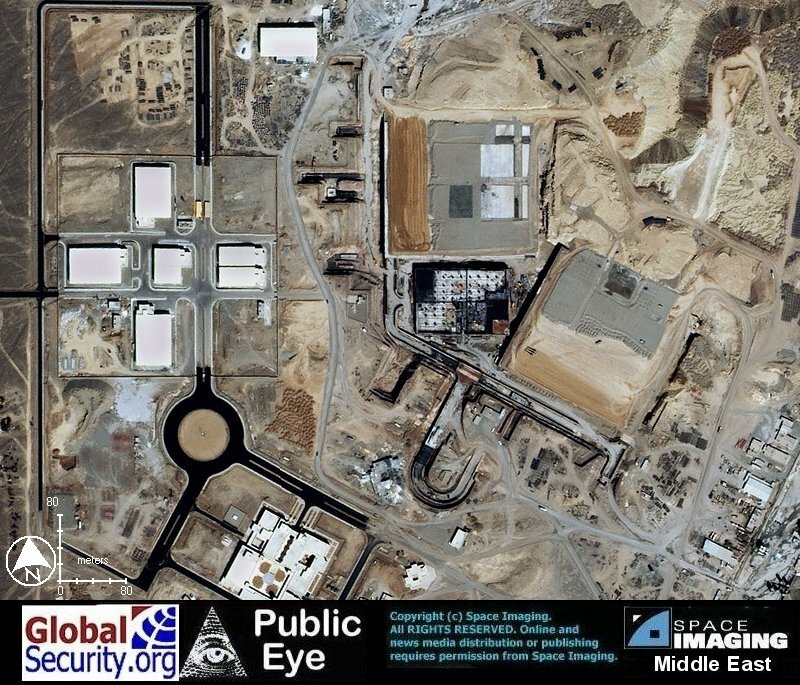 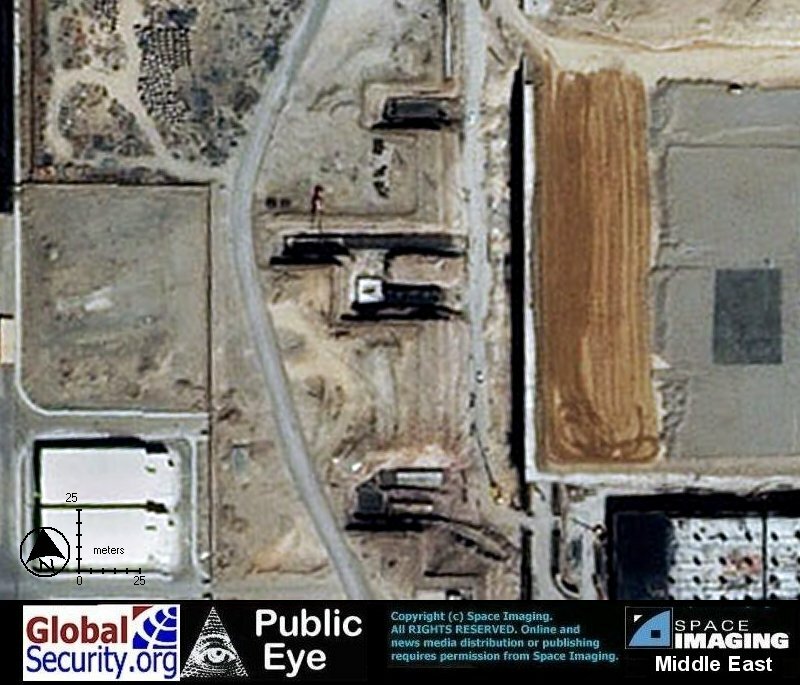 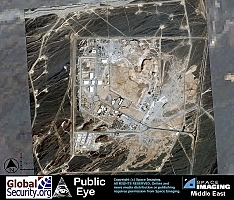 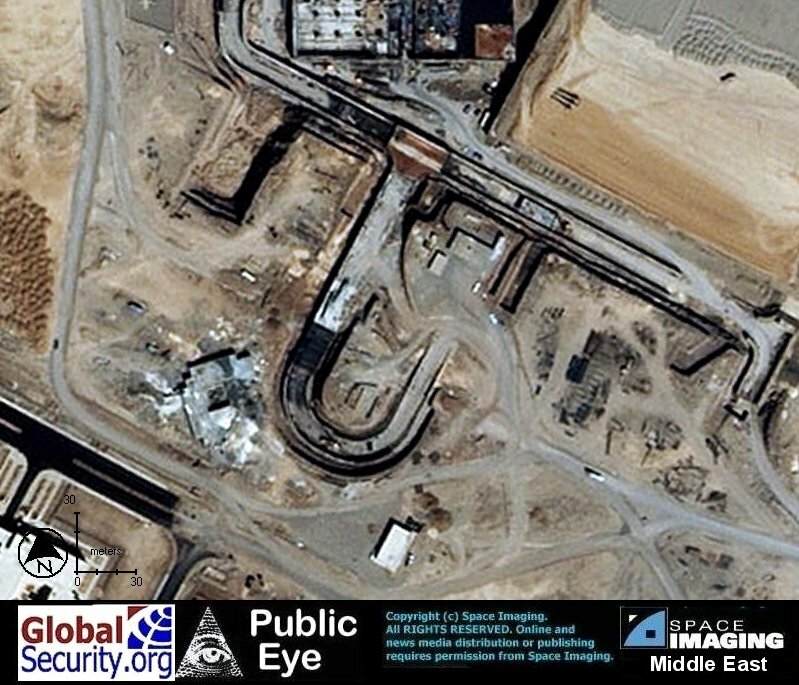 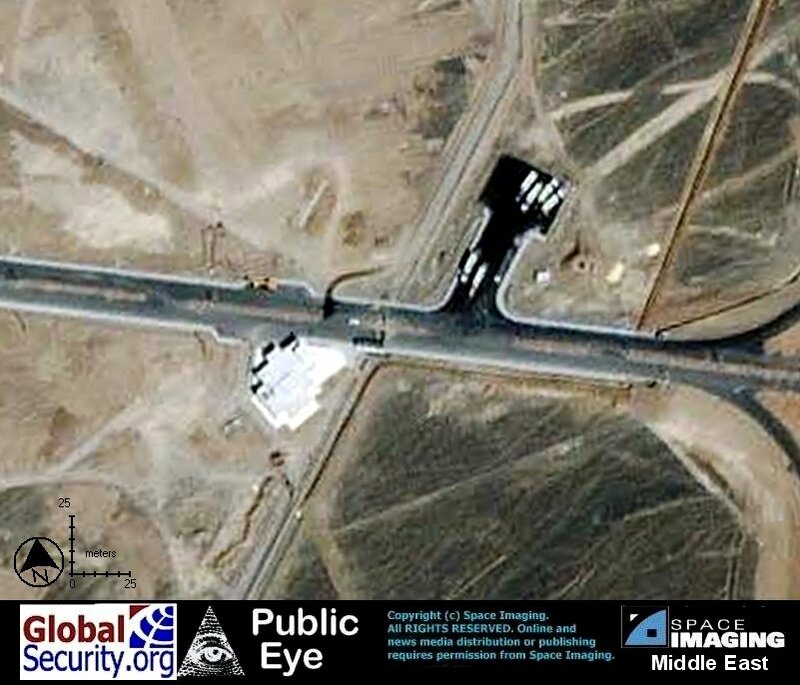 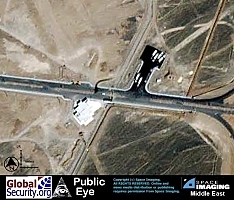 New satellite imagery of the Natanz facility from early 2004 reveals further construction and development of the site. 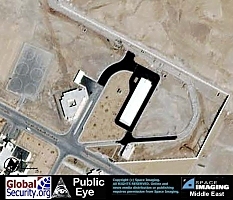 In addition to the completion of large buildings with hardened concrete and earth roofs, the complex is now surrounded by a network of about two dozen defensive positions. 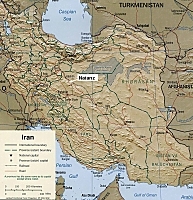 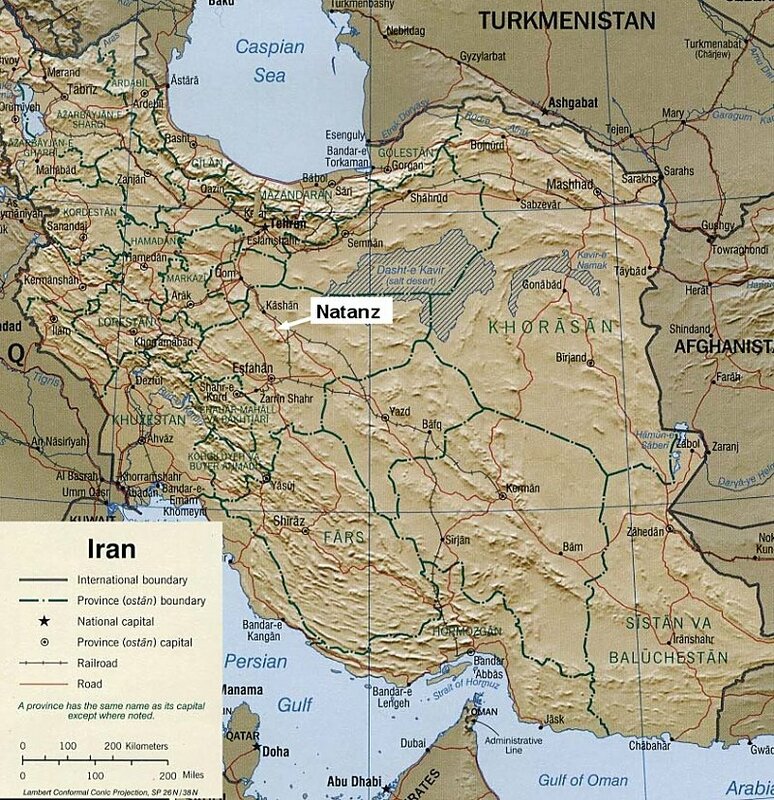 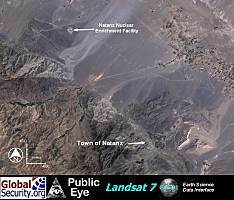 The Natanz Nuclear Enrichment Facility is located about 130 miles south of Tehran. 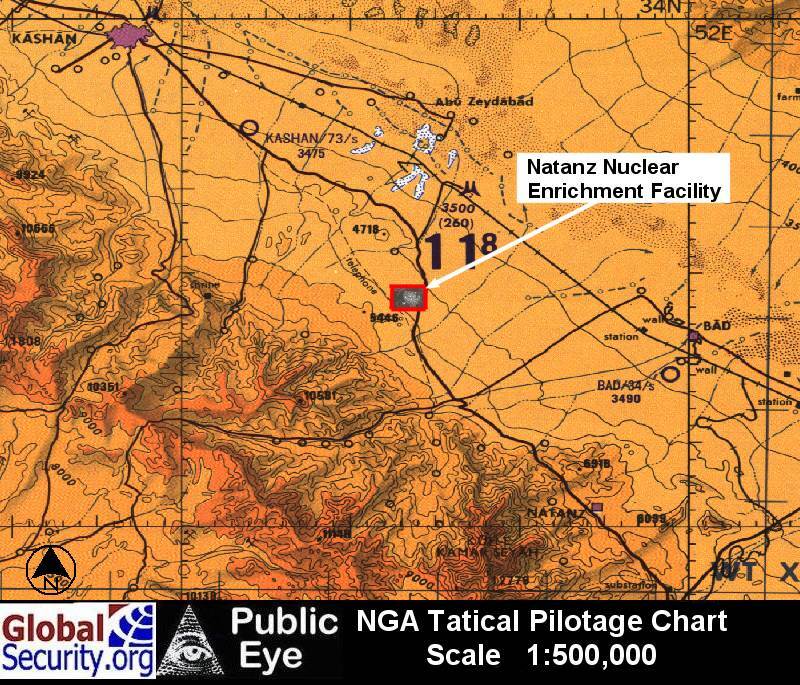 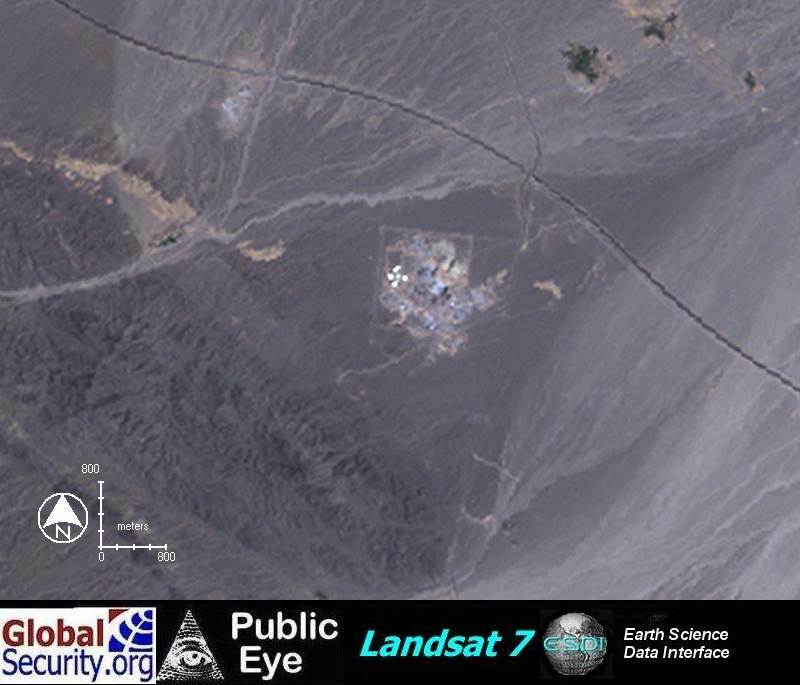 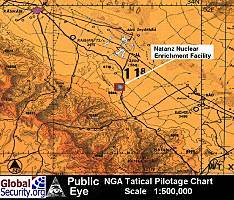 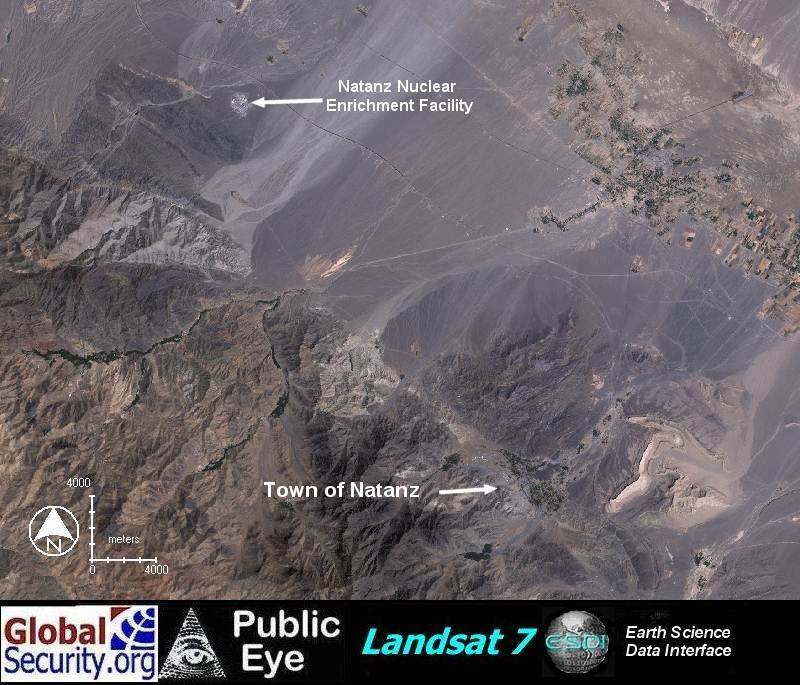 This map shows the facility located about 24 miles south of city of Kashan and about 17 miles northwest of the town of Natanz. 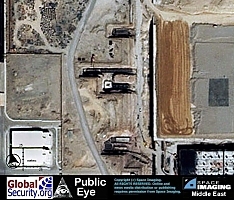 Even at 30-meter GSD, the plant is visible.